What do you do if you want to keep your heart healthy as you get older? You probably already know how important it is to eat a nutritious diet and avoid artery-clogging animal fats, lose excess weight, and get your pulse rate up with regular aerobic activities. But new research suggests that there is another valuable step to take for cardiac care that you might not be quite as aware of. The study, which took place at Iowa State University in Ames, found that lifting weights regularly may lower the risk of having a heart attack or stroke by a whopping 40 to 70 percent.1 These results are based on information collected on 12,591 men and women with a mean age of 47. They were all participating in the Aerobics Center Longitudinal Study, which is a long-term investigation begun in 1970 to explore various health topics related to physical activity. Examining the medical records of the subjects, the researchers flagged all instances of three separate groups of negative health outcomes. The categories were heart attacks and strokes that did not end up in being fatal, cardiovascular events like heart attacks and strokes that included mortality, and deaths from any cause. After comparing the exercise habits of all the volunteers to these categories of medical issues, the data showed that strength training reduced the likelihood of any of the three negative outcomes occurring. In fact, those who worked out with weights only needed to do so for under an hour a week to make a significant difference in their risk of heart attack and stroke. And this was not a case of more is better, as spending longer than an hour on weight training per week does not appear to offer any greater cardiovascular benefit. What’s more, the outcomes were completely independent of cardiovascular activity. That means the researchers controlled for walking, biking, and other aerobic pursuits that might have influenced the cardiovascular disease risk. This strengthens the validity of the findings since it is clearly not just a matter of fit people who do more exercise of all kinds having a lower risk of heart attack and stroke. This all makes sense since strength training helps increase our lean muscle mass, reduces fat stores, and gives the metabolism a boost. Therefore, working out with weights is every bit as valuable as cardiovascular exercise. Add to that a regular routine focused on flexibility and stretching to improve balance, increase blood circulation, and enhance muscle coordination, and you will have an excellent all-around workout that covers all the necessary bases. So, what do you do if you have never practiced any kind of strength training? It’s never too late to start at any age. It is simply a matter of figuring out what type of resistance-related activities you enjoy doing the most. You can invest in inexpensive free weights to hold and to strap around your ankles and do a variety of calisthenics with them. Rebounding makes use of gravity instead of weights to build muscle. Another possibility is joining a gym to take advantage of the assortment of weight machines there and put together a circuit that works different sets of muscles. Whichever you choose, just commit to doing it regularly to begin reaping the benefits to your heart and health. 1. Liu, Yanghui; et al. "Associations of Resistance Exercise with Cardiovascular Disease Morbidity and Mortality." Medicine & Science in Sports & Exercise. 29 October 2018. Accessed 17 November 2018. https://insights.ovid.com/crossref?an=00005768-900000000-96766. 2. Bakker, Esmee A.; et al. "Association of Resistance Exercise, Independent of and Combined With Aerobic Exercise, With the Incidence of Metabolic Syndrome." Mayo Clinic Proceedings. 14 June 2017. Accessed 18 November 2018. https://www.mayoclinicproceedings.org/article/S0025-6196(17)30167-2/fulltext. I've started lifting weights when I was 18. 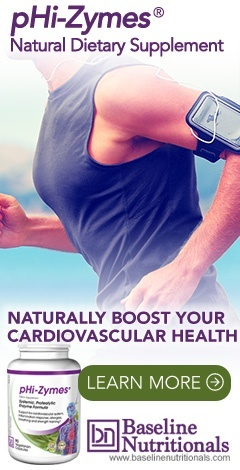 While I benefited greatly from this along with cardio type exercises I never really felt healthy mentally and physically until I had to change my diet. Alcohol, lots of meat, sugar, and starchy carbs nearly killed me. I was over weight by 75 lbs, spent weeks in bed with gout, arthritis, low energy, apathetic, and depressed. I thank the Lord Jesus for his saving grace and people like you all for showing me not just how to cope but to overcome !! !